My car doesn't like it. Too small. It was easy to assemble. Took only 15 minutes. Keep your cat's mind sharp and entertained when you give them this delightful cat tree. With the standard scratching posts and perch platforms, this unique cat tree incorporates a brilliant new feature known as the IQ busy box, which offers your cat a variety of ways to keep physically and mentally active throughout the day. 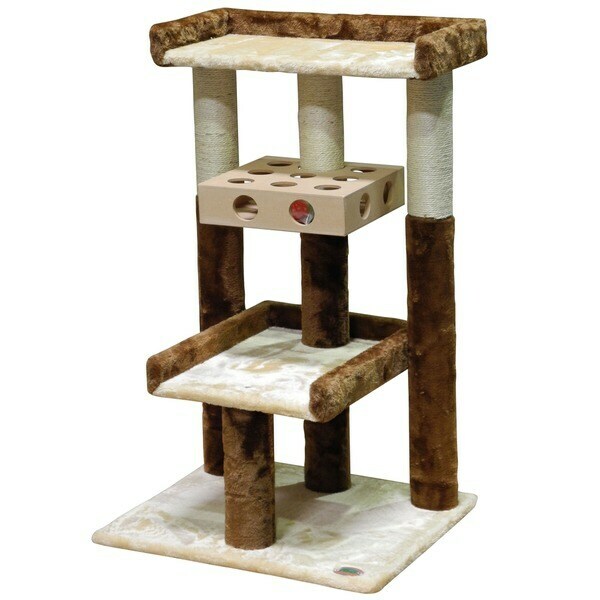 Show your cat just how important they when you give them this beautiful cat tree. The upper perch size is what I was looking for. The added play area is the 2nd reason. I just wish that it had been pre-asebled but I think I'll be able to do it with no problems.